I keep telling Jackie that I’m going to do a book review. Y’all all know Jackie, right? From Pooch Smooches? She wrote a book, in case you didn’t know. I bought a copy after my first visit to her blog. Just for fun. What the Dog Ate, a funny, engaging read, perfect for summer or holidays. Or any time, really. That’s what Jackie’s book, What the Dog Ate, is. Fun! 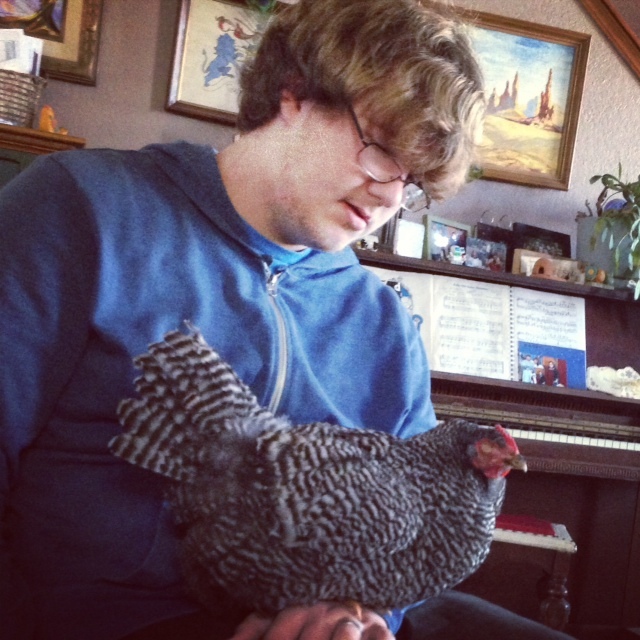 I am not a chick lit fan, by any stretch. I love murder and suspense, history, apologetics, children’s books, but not chick lit. 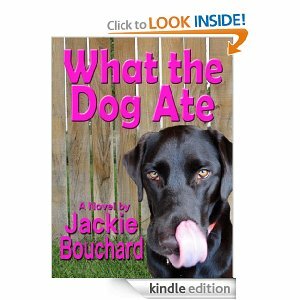 What the Dog Ate is funny chick lit. And I liked it. I did! Watching poor Maggie spiral after this discovery was brutal. Seeing her pull herself out of that spiral was sweet, empowering and funny. 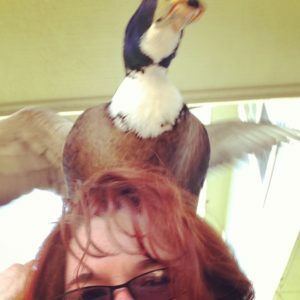 If you visit Jackie’s blog, you already know that she’s a funny person. Her humor in What the Dog Ate is just right. I like Maggie’s dog, Kona. I love Maggie’s friends. I really got wrapped up in her world. I love that this book wasn’t graphic or sappy. It was just right. So it’s April. Summer is just around the corner. You’ll be heading to the beach, to a cabin in the woods, to the lake, to wherever for vacation. What the Dog Ate is a GREAT summer read. Curl up in a comfy papasan chair, shoes off, something cold to drink, and read. I realized, this morning, that I haven’t posted chicken or duck photos since Monday. I think that’s some kind of crime. I think some of you agree. Y’all remember, Monday, my telling you about Petey biting the crap out of my hand? He decided to be super sweet and make up for it. He kept waggling his tail, flicking me in the face. Sitting by his wading pool, I put my foot on the edge. He jumped out of the pool onto my foot and proceeded to walk sideways until he reached my shoulder. Y’all, Petey is a big duck. Hefty. 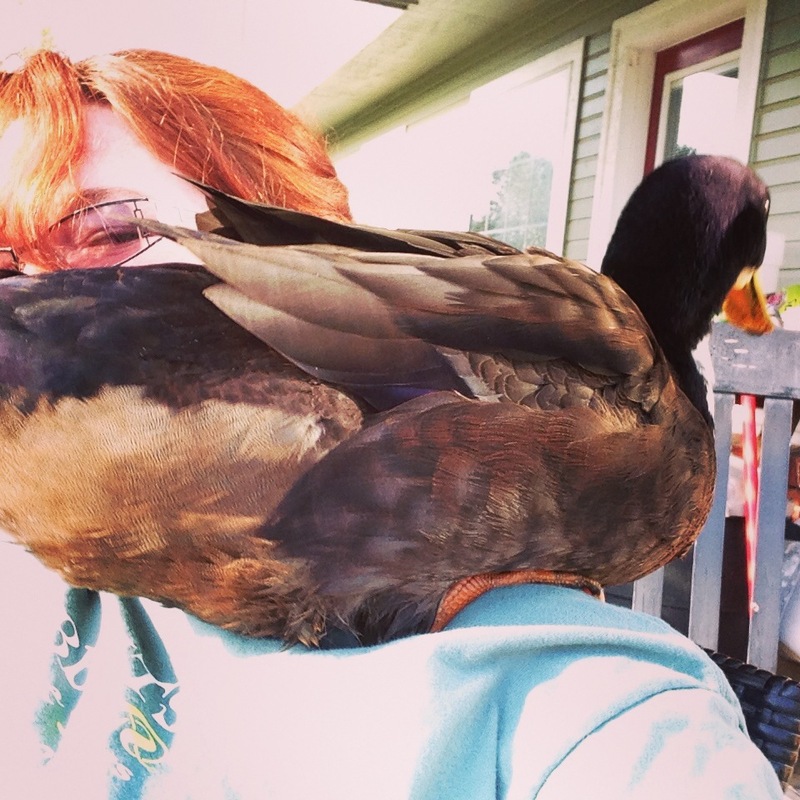 And ducks don’t perch. He settled in and refused to leave. Very awkward. And very sweet. Until he decided to climb onto my head. Petey couldn’t actually perch on my head, so he flapped his wings for balance, then jumped back to my shoulder. In case you’re curious about Bon Bon, she seems to be doing much better. But when I feel her chest, there’s still no meat on it. She’s either sick or old. 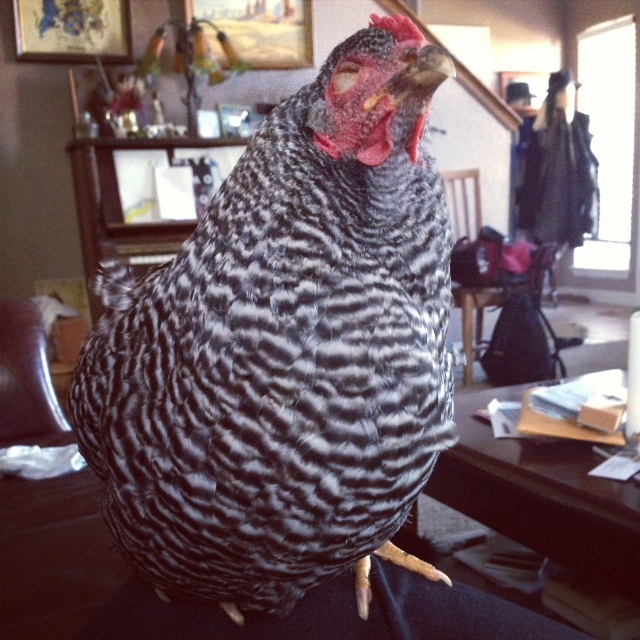 I’m about to scramble up another egg for her. She gets plenty of attention. Thaniel loves the girls. They love him. Of course. Happy Friday, y’all! I hope you all have a great weekend.